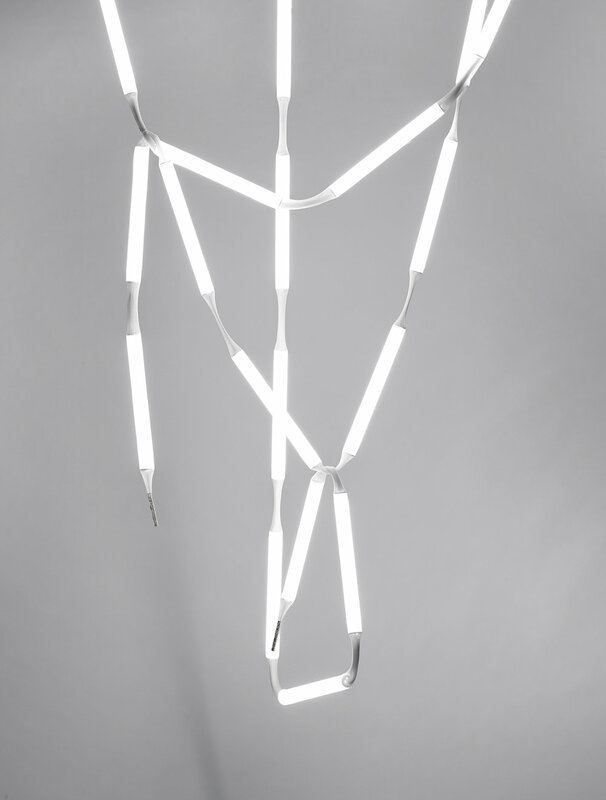 ROPE LIGHT CHANDELIER is a contemporary lighting design inviting the customer to explore and create their own unique version of the product. The chandelier contains of three illuminated lines, which can intertwine and be arranged freely. 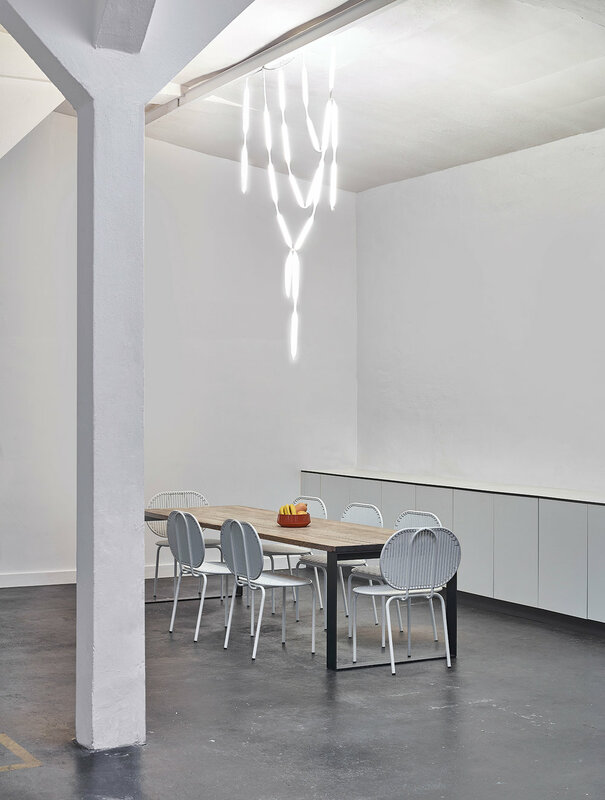 The flexible lights allow various options to create forms and shapes in a space. The light shines from 360° customized LED bars to create a comfortable and unique mood. The new design is further driven by Hennig’s love of material, performance and minimalism, and desire to form a connection with her customers to spark an immediate reaction to their playful nature. 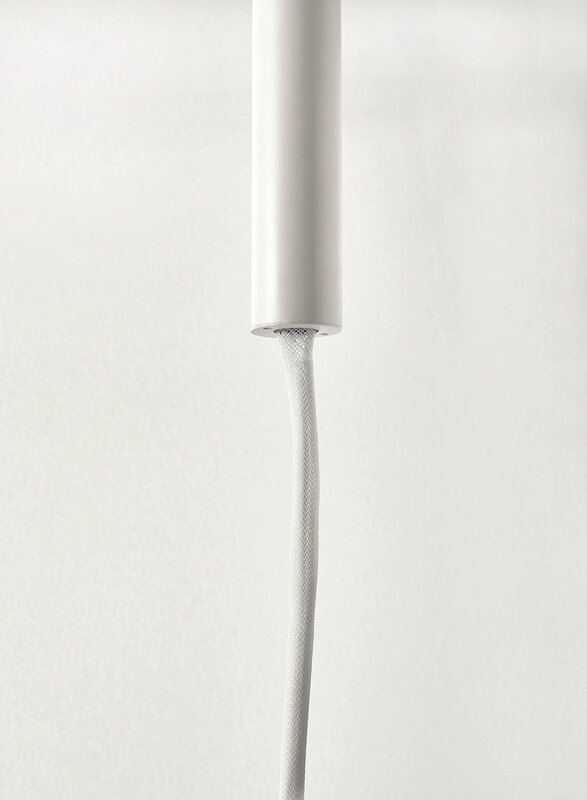 The dimmable pendant is available in warm and cold white. Customized lengths on request.